Most of you know I mostly review young adult literature on this blog, mostly because I am a young adult services librarian and need to keep up with what is being published, or at least be familiar with it. However, I also need to be familiar with adult titles, as I also work on the reference desk for adults. My favorite genre has got to be mystery, and I gravitate toward the cozy subgenre. 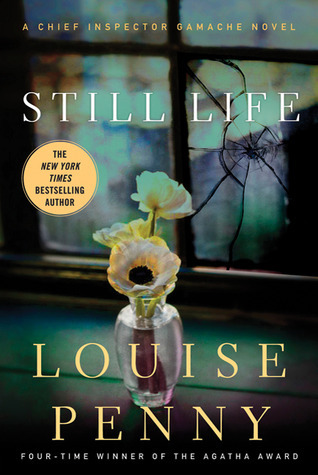 Enter Louise Penny. I had heard the Three Pines series was good, the first of which is titled Still Life, and I decided to try it out. It was a good decision. The whole series has a coziness around it, despite the murder and underlying sense of dread threaded throughout the books. I love reading about the little village of Three Pines, with its quirky characters and homey feel. I want to eat at Olivier's Bistro, where one can order things like open-faced melted goat cheese and arugula sandwiches on warm baguette, red lentil and curried apple soup, and fresh-baked croissants with a café au lait, warm cider, or glass of wine. I want to browse through Myrna's Livres, Neufs et Usagés, and find some mysteries like this one on a well-worn shelf surrounded by comfy chairs. (Oh by the way, it's set in Quebec, Canada, hence the French.) I want to be friends with all the people in this town, a town of people who found their way here when they most needed to. Louise Penny is just wonderful with description and imagery, and I always just want to jump into this place. 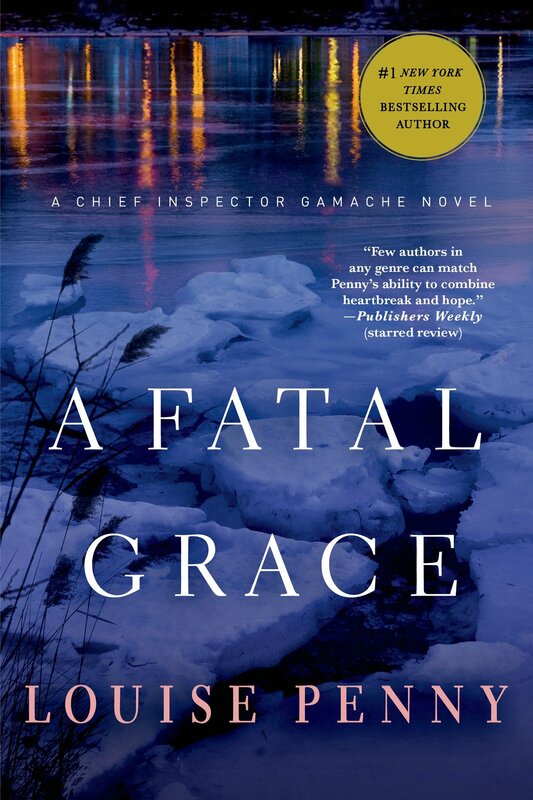 And Chief Inspector Armand Gamache! I want him to be my grandpa. Though he is probably too young for that, but still. He is just the best, which makes that dread I talked about earlier all the more sinister. If you've read the first few books, you'll know. If not, watch out for Arnot. I've only read the first three in the series, and I am so glad that I don't have to wait for most of them to be published. Each book gets deeper and deeper into conspiracy and sabotage, and I worry for the inspector. I listened to the first book in the series, and Ralph Cosham fits the tone of the books perfectly. It took me a little while to warm to his narration, but as I progressed through the book I knew he was perfect. I hear his voice now when I'm reading the print copies I take home from the library. To sum it up, if you're a mystery fan, especially Agatha Christie, this series is for you. I love the Three Pines series. The setting is just perfect and the characters are so quirky and fun. Inspector Gamache is such a loveable guy. I haven't read all the books in the series but I've read enough to know that I will read them all eventually. Someone introduced me to cozy mysteries a couple of years ago and I love them. Great post. Thanks! I'm so glad you love them as much as I do! I hope other people will pick them up after reading this. I'm about to start the fourth one and am excited!